CANYON LODGE MOTEL is a small, American family-owned motel known for its cozy comfort, cleanliness, quiet location and reasonable rates. There are different options of rooms to choose from, whether it's one, two or three beds to make you and your family comfortable. 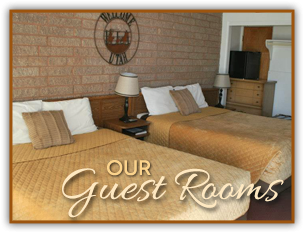 Featuring 10 non-smoking / NO pet rooms, we offer 8 budget-friendly rooms, and 2 completely remodeled, upgraded rooms. Each room includes amenities like complimentary Wi-Fi, cable TV, mini fridge, microwave, coffee maker, alarm clock, heat, & air conditioning. We also offer an ice machine, BBQ, large lawn area with shade trees, picnic table, and (in the near future) private guest laundry facilities complete with vending machines. 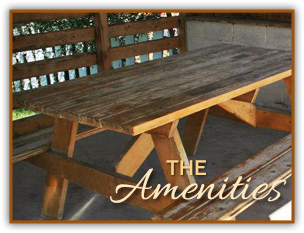 Enjoy the fresh air on benches or chairs located outside each room underneath the awning with convenient parking outside your room for instant access to vehicles. Perfectly Located in Southern Utah Near Zion, Bryce Canyon, and More! Located in the heart of historic Panguitch, Utah, CANYON LODGE MOTEL is within walking distance to many local shops and restaurants, including a bakery, movie theatre, grocery store, drug store, hospital, and city park. CANYON LODGE MOTEL makes a perfect “base camp” location to visit the breathtaking scenery of Zion National Park, Bryce Canyon National Park, Red Canyon State Park, Grand Canyon National Park, Calf Creek Falls, and many fun & beautiful hikes in the surrounding areas. Just outside of town are miles of dirt roads to explore, hike, and bike. We have excellent star-gazing skies! Just 20 minutes away at Panguitch Lake, you can enjoy fishing and boating during the summer, and ice fishing in the winter. 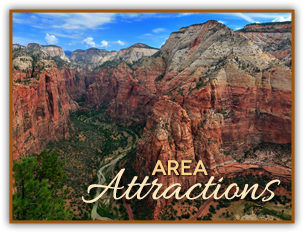 Tour the National Parks, soak in the majestic beauty of Southern Utah, or secure your front-row spot at our motel on Main Street for our town’s world-famous annual events, including the Hot Air Balloon Festival in June and Larry H. Miller’s Tour of Utah in August. We are excited to serve you and look forward to your stay with us at the CANYON LODGE MOTEL.